Are you planning on visiting us for an extended stay in Glasgow? Whether it be for business, family, or pleasure, we understand that it can be hard to be away from home for long period of time. Don’t worry, here at Rundle Suites we will strive to be your home away from home. 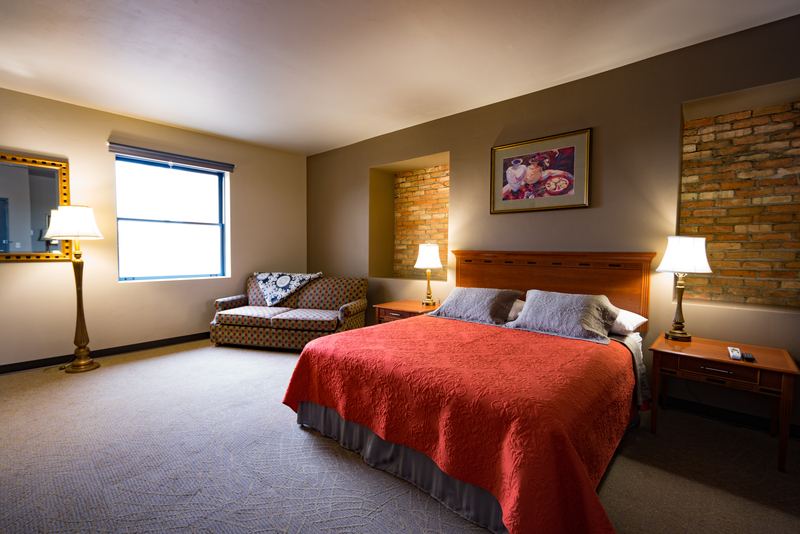 With our newly remodeled and renovated historic downtown hotel, we’ll provide you with the comfort and professionalism that you need to relax and thoroughly enjoy your stay. But we know there will still be a piece of you that misses your household. That’s why we’ll be giving you a few tips on what to bring for your lengthy stay at our luxury hotel. Who knows, you might not want to check out after your trip! This one’s a given. Although modern technology gives us the ability to bring our photos wherever we go, there’s nothing quite like framed pictures that reminds you of home. Whether it be your spouse, child, or beloved pet, make sure to set them up around your suite to warm your heart and ease your mind. We’ll treat them with ultimate care during your stay, keeping them dust and smudge free. Who doesn’t like settling in for a movie before bed with their favorite set of slippers and cozy pajamas? You’ll feel right at home as you sit back on our plush bed in your favorite bedtime outfit. We won’t judge you if you walk around the hotel in your slippers either. After all, this is your home away from home! While we will provide you with high-quality bath products, we understand that you also have your favorites at home. Be sure to bring your treasured shampoo, conditioner, soap, face wash, etc. The smells of your favorite toiletries will give you more comfort than you expect! Nothing puts you at ease more than kicking your feet back, closing your eyes, and listening to your favorite tunes. Your phone might be able to provide you with a certain volume, but nothing compared to the crisp sound emitted from a portable speaker. Whether it be easy-going music while going to bed, or an uplifting song to wake you up in your morning, having your music is a huge help when providing comfort (we just ask that you don’t wake your neighbors!). Flowers or plants can have an immediate effect on the mood of a room, as well as provide you with some company as you keep them alive and healthy! Get a vase of fresh and colorful flowers to brighten up your suite, not to mention give it a great scent! We all have one. Whether it be a stuffed animal from childhood, a favorite blanket, or even a rabbit’s tail. We all have something that we hold onto that means something special. Be sure to bring it! 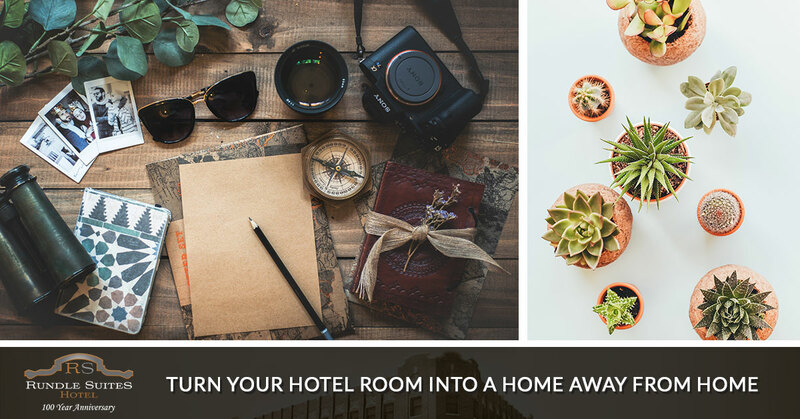 Just sit back in our beautiful hotel room, listening to your favorite music on the aforementioned portable speaker, and hold on to that item that you cherish. We promise you’ll feel at home. While it might not be your hometown, Glasgow has incredible things to offer to anyone that’s lucky enough to stay here. A real hidden gem in Montana, Glasgow has a rich history dating back centuries and has multiple activities for you to enjoy during your stay. Whether you’d like to go enjoy some water activities at the Fort Peck Dam or go enjoy a pint at our first and only brewery Busted Knuckle Brewery. You’ll begin to notice the hospitality of our residents as well. You will be welcomed with open arms, and given an extended hug when you leave. Are you packed and ready to go? If you’re feeling trepidatious, don’t! Not only will you find our historic downtown hotel comfortable, clean, and welcoming. Not only will you love your recently remodeled room, but you’ll love our quaint town of Glasgow, Montana. Be sure to grab everything on this list for your trip! We can’t wait to see you and become your temporary home. If you have any questions please feel free to contact us, or if you have yet to get your room, book online now!